A romantic little 1 bedroom cottage with a wealth of old oak beams and many original features. South facing patio area with quality wooden garden furniture and parasol. Spiral staircase leading to a beautiful double bedroom with wonderful original oak beams, parquet flooring, quality bedding and a chandelier. En-suite feature bathroom. Newly refurbished for 2009 A stylish 1 bedroom cottage with a wealth of old oak beams and many original features. South east facing patio area with quality wooden garden furniture and parasol. Newly refurbished for 2009 A 2 bedroom cottage with a wealth of old oak beams and many original features. South east facing patio area with quality wooden garden furniture and parasol. Double mezzanine bedroom with beautiful original oak beams, metal bedstead, parquet flooring and quality bedding. Accesed via spiral staircase. Refurbished in 2008 A two bedroom cottage with a wealth of old oak beams and many original features. South facing patio area with quality wooden garden furniture and parasol. 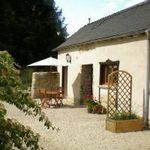 FOR RENT: Holiday cottage to rent - Charming 1 bedroom gîte fully equipped with logburner. 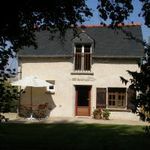 Kerrougant Gites and B & B Located in the tranquil setting of the Brittany countryside, Kerrougant will transport you to a world of warmth and relaxation. Experience calm and child friendly enviroment and typical Breton hospitality. Whether you are seeking a peaceful retreat, a romantic getaway, a convienient base for property hunting or simply want to a place to stay whilst visiting friends or relatives experience a natural wonder, you will find what you are looking for at Kerrougant.